NaNoWriMo week 1 stats. I am upwardly mobile. Friday, November 7 marked the end of the first week of the National Novel Writing Month challenge for 2014 and it has been exhilarating for me. I did post a few updates on my Facebook page, but don’t want to bore you with too much about it. I will say that the Reno team is great. Our fearless leader amazes me with the amount of time and energy she has been putting into getting the write-ins, both in person and on-line, organized and done. Plus she has written her whole 50,000 words already and is now going beyond! Great work, Alexandria King. The encouragement really keeps you focused and pounding away on the keyboard. What I have learned so far is that I can write close to 5,000 words a day without stalling too much and if I push a little, I can write through the stalls. I have my techniques that work for me and it seems to be working. The writing is not perfect and there are cringe-worthy parts that I will rewrite in the editing process. The key now is to get the story written with the plot mostly working. Any flaws, plot holes and inconsistencies can be addressed in the editing. Why is this such a big deal for me? It means that I finally have managed to turn off the internal editor to the point that it doesn’t slow down the creative part of novel-writing. It allows me to write without losing the flow of the book and the characters. It allows the characters to really come into the story and for me to begin to hear their separate voices and really “see” them. Your logical brain is the editor and that’s not where your creative center is, so being able to turn that part off while writing frees up the creative brain. And I suspect that while you’re relaxing and sleeping, the logical brain is busy trying to patch in the fixes to the weak parts of your plot because those definitely seem to get sorted out before it’s time to write them. My novel in Scrivener with the cork board open showing the chapters. When I started writing, I had a pretty clear idea of the start of the novel while from the middle section on was kind of hazy. One of the really nice things about Scrivener is that it allows you to write in scenes that you can move around if you need to do without the hassle of cutting and pasting that you have to do in WORD. It’s a simple drag and drop with the corkboard open. Another great thing is having all your character bios available without having to go to another program or another document to open them. Same thing for locations and any research that you’ve done or need to do while you’re writing. You can update these bits of information on the fly and refer to them quickly and easily. So I can easily say that using this tool has made an improvement on my writing when it comes to organizing and adding to speed while writing. It’s not for everyone. For as many people in the writers’ group who love it, there’s just as many more who dislike or feel it’s not useful at all. It’s one of those tools that if you take a little time to learn it, it can make your job much easier, but if you’re confused by the programming or just don’t see the value, then it’s worthless on your computer. For me, it’s been great and I’m a huge fan. This is not an advertisement and I’m not being paid to evaluate this product. I’m just sharing something that has worked for me and I’m really enthused about. I finished my sci-fi fantasy novel in October using Scrivener and to prove to myself that I could write at least 1700 words a day. Even with the learning process of the software, I found it so easy to see right where I was in the book and to take those scenes in little bites, that I had my average daily word count around 2500! With the extra incentive of NaNo and the write-ins, I am closing in on my 50,000 words already and averaging over 5,000 words a day! It’s not the end of the novel I’m writing, as I expect it will be between 65,000 and 70,000 words in the first draft. But I also expect to finish it by the end of November. Stay with me to see if I make it. And then I’ll begin the editing process in December. Hint: I won’t be editing the book I’m writing this month, but one of the other two I have written and ready to be edited. Please leave me any comments or ask any questions you might have about this adventure in speed writing. In some ways preparing for the write-a-thon that is NaNoWriMo is a bit like preparing for an important race, like a marathon. Not that you’d find me out running every day, but with a target number of words a day around 1,700, you do need to prepare for the race if you haven’t been doing it all along. And I haven’t. I started trying to discipline myself to write every day and work on the word count. Let me start by saying, I do write every day, just not on my novel. I have written something just about every day of my life from age eight on. I’ve written short stories, poetry, newsletters, articles, training manuals, and business proposals. If you count getting paid to write manuals, regulations and training modules as professional writing, then I am a professional writer. It’s the creative writing that has lagged behind over the years. When trying to write over a thousand words a day, the trick may be to turn off the internal editor that wants to polish the writing, choose just the right words and linger over the phrasing. It may be to allow the purely creative force to freely let the words flow to capture the framework of your story. So much easier said than done. Just for example, I paused and changed three words in what I just typed there before continuing to the next sentence. I stopped to re-read what I had just written, looking to see if it could be written better. 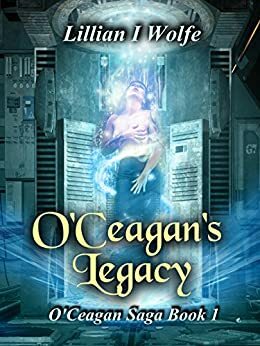 To try to unleash this creative process, I started trying to write every day on my current work in progress, O’Ceagan’s Legacy with an eye to getting as much done on it as I can before starting the new novel on November 1st. I also wanted to see if I can actually write 1,700 words in a day consistently over the month. So far, it’s been up and down. I have done and exceeded the word count several times in the last 10 days, but I have also missed dismally, clocking in with a paltry 368 words one day, but topping out with 3,299 on another day. The average is good overall and if I can do that while in the challenge, I should be able to make that 50,000 word count goal. Are all the words good? No, of course not. Sometimes you just want to get down the thoughts and the flow of the scenes and not let that editor slide in to search for just the right phrasing. That will come in the second and third edits. What you actually write during this kind of writing isn’t a polished novel, but a very rough first draft that will be refined over the next few months to one that will be worthy of being published. At least, that’s the goal. If you’re like me and writing a novel has taken over a year for the first draft, then learning to give the creative side the freedom to flow for even 1,500 words a day is a big breakthrough in your writing.